Tasmanian premium food company, TasFoods, has its eyes on expansion announcing plans to raise up to $30.25 million in capital. The up-and-coming company, which was only established in early 2015, says it will use the funds to grow its business and to help pay for its recent acquisition of Nichols Poultry. The company was founded by a group of well-experienced Tasmanian business professionals including Jane Bennett who is both Chief Executive Officer and Director. Bennett gained her reputation marketing the Ashgrove Cheese Brand to the point it has become a restaurant and family staple. She has also served on the CSIRO board and the Brand Tasmania Council Board. She is currently a director at the Australian Broadcasting Corporation (ABC) and Food innovation Australia. She was named 2010 Tasmanian Telstra Business Women and was ABC’s Rural Women of the Year in 1997. Further business experience is also brought to the company by Rob Woolley who is TasFoods’ non-executive chair. He is the chairman of Bellamy’s Organic baby food company and a former board member of Forestry Tasmania. He worked for 20 years as a partner at Deloitte. 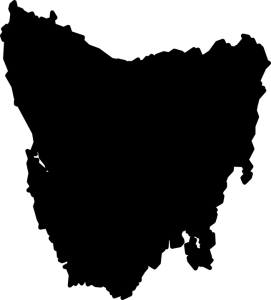 TasFoods, is currently in the process of establishing itself through building a portfolio of Tasmanian-based companies. Its most recent acquisitions include Shima Wasabi, a producer of wasabi and Japanese turnip, pepper and parsley grown in Tasmania. The acquisition price was AUD $2.8 million. This followed the acquisition of Nichols Poultry in February 2016 for a price of AUD $12.55 million. In September 2015, TasFoods also acquired Meader Valley Dairy for AUD $2.1 million. In a May 2016 update to investors, TasFoods said there was numerous opportunities for it to continue its acquisitions. It said TasFoods’ local Tasmanian presence provides unique access to a flow of new deal opportunities in the food sector. “TasFoods are currently investigating a number of Tasmanian based premium branded food business opportunities ranging from a funding requirement of $ 1 million to $15 million,” the update said.